Why would I need tooth whitening? As we get older our teeth tend to darken as a natural ageing process. In addition teeth can pick up staining from smoking, coffee and red wine. Tooth whitening in a minimal intervention treatment to lighten the teeth. Whiter, fresher looking teeth can give us a better smile and increase our confidence. What is the best tooth whitening procedure to have? We recommend a home tooth whitening system. This allows the teeth to lighten gently over a period of 2-3 weeks. Since the whitening process undertaken over a longer period the effect tends to last longer with lower risk of side-effects. What is the process for home tooth whitening? After an initial consultation, impressions are taken of our teeth for the custom made whitening trays. These trays are constructed by our highly skilled UK registered technicians. These are fitted the following week. You will then be instructed how to use the whitening gel and may be asked to stay in practice for 30min or so to ensure that all is well. You will be asked to wear the whitening gel for 3 – 4 hours everyday (if you miss a day it’s not a problem but it may then take a little longer for the effect to start). We review you every week for 3 weeks to ensure all is well and provide you with further whitening gel. It is difficult to predict how white teeth will go since individuals vary. We provide a 3 week course of whitening. If you feel you require further whitening then you can purchase more whitening gel separately. It also helps if you can reduce the amount of coffee, cigarettes, red wine and tea you ntake so that the effect can last longer. Over time the effects of the whitening fade, however if your teeth have remained the same it may be possible for you to re-use the whitening trays and just purchase the whitening gel. Tooth whitening is an extremely popular and very safe procedure when carried out by qualified professionals. The main side effect is that teeth may become slightly sensitive after whitening. The General Dental Council recommend that tooth whitening should be carried out by dental professionals. Other side effects can include burning of the gums if inappropriate products are used or the whitening try does not fit properly. Prior to having tooth whitening it is recommended that you have a consultation with your dentist to ensure that you mouth is suitable for tooth whitening. Tooth whitening is not usually recommended for under 18s. Is there any other way to whiten teeth? Just a good scale and polish and removal of stains can dramatically improve the appearance of teeth. 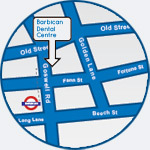 A session with our hygienist will help improve your smile, keep your gums healthy and remove staining. If after this session you still feel you would like a whiter smile you can consider tooth whitening.